You'll go home satisfied after a night with this chick(en). The saying goes, “eat to look good in clothes; exercise to look good naked,” and a good protein source is integral to achieving maximum suit potential. You know all about chicken being lean, readily available, affordable and relatively easy to cook. But which cut do you choose? There are a multitude of cuts, each with a distinct texture, flavor and response to various cooking techniques. If you haven’t found the perfect cut that will love your body back with all the TLC that you put into your favorite chicken curry, then keep reading for a spotlight on our top two cuts. Our society is enamored with chicken breast because of its leanness and convenience. The lack of skin makes it lean, and the lack of bones makes it convenient for dishes that require cutting the meat into cubes, think stir-fry. For these reasons, it’s one of the most expensive cuts at $1.99/lb. for a value pack. 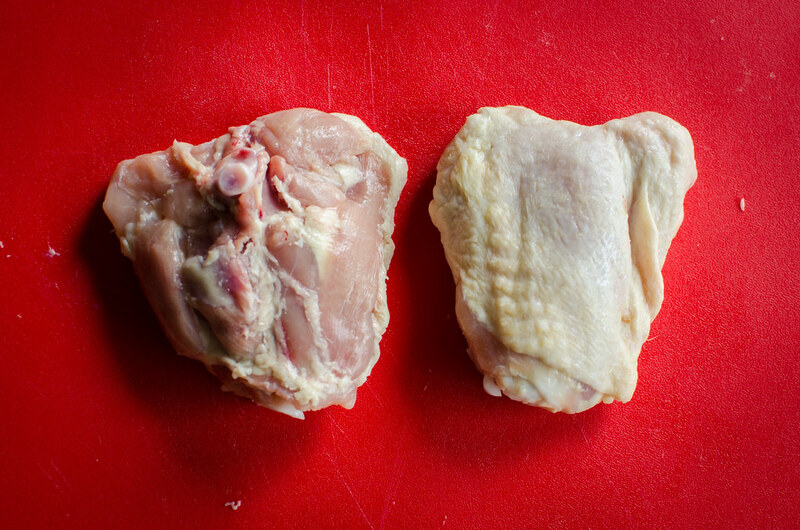 Without the skin and bones, it’s easy to dry the chicken out and lose flavor when cooking. To avoid this, breasts are best handled on the grill or in a fry pan or oven. In contrast, the thighs are mostly dark meat and can be found with or without skin and bones. Generally, the thigh has about three times as much fat as breast meat. This may sound unappetizing, but don’t return to Team Breast just yet. Any cut of chicken is relatively lean compared to alternatives such as beef or pork. The beauty of the thigh lies in the flavor and affordability. It is among the cheapest cuts at $0.99/lb. for a bone-in value pack. Thigh is best braised, grilled, or baked. 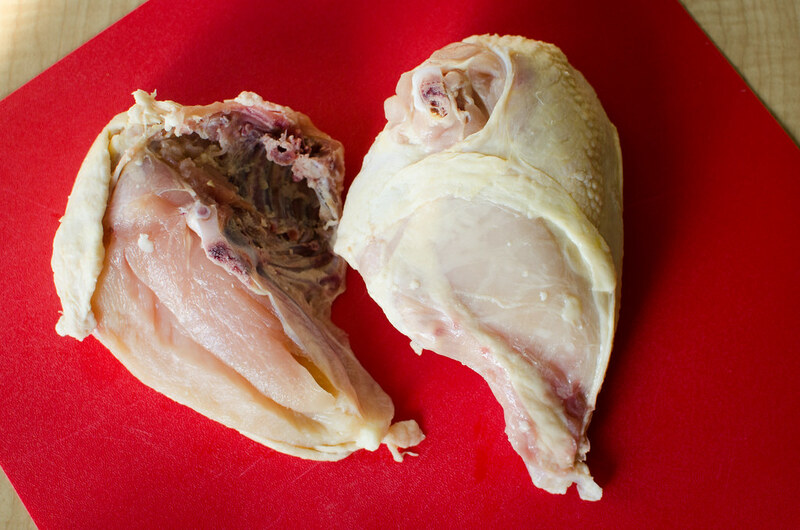 Although bone-in cuts result in moist, flavorful chicken, are you really getting the most cluck for your buck? Definitely. Bone-in thigh is about the same price/lb. as boneless skinless breast. Even if you adjusted the price of bone-in thigh to reflect the price/lb. of lean meat, it would still be cheaper than boneless. It’s more ideal to buy organic for better quality meat, however, it’s not always possible on a college budget. My advice; if you’re already buying non-organic breast, try organic thigh for the same price.